Spain is a contracting state of the New York Convention of 1958, which has been in force since 10 August 1977. Spain did not make any reservations or declarations. Spain is also party to the European Convention on International Commercial Arbitration of 1961, which has been in force from 10 August 1975, the Convention on the Settlement of Investment Disputes Between States and Nationals of Other States of 1965 in force from 17 September 1994, and the Energy Charter Treaty ratified on 11 December 1997 and entered into force on 16 April 1998. Spain has bilateral investment treaties (BITs) in force with more than 70 countries, for instance, with most Latin and Central American countries, and China, Turkey, Morocco, South Korea, Egypt, India and Iran. the relationship from which the controversy derives affects the interests of international trade. Further, an award is considered foreign when it has been rendered out of Spain (article 46.1 SAA). Having said that, the SAA does not generally differentiate between domestic and foreign arbitral proceedings. In fact, in its recitals it is recognised that the law has opted for a monistic system. Primary domestic sources in arbitration are the SAA, particular substantive law applicable to the case - including international conventions - case law produced by national courts and arbitration tribunals, and scholars. arbitral proceedings are presumed confidential (article 24.2). The SAA gives primacy to party autonomy. Nonetheless, parties cannot deviate from due process. Article 24 states that parties shall be treated with equality and each party shall be given full opportunity to present its case. According to article 34 of the SAA, in international arbitration, arbitrators shall resolve the dispute following the legal rules (including non-national laws) agreed by the parties (the only limitation is public policy). Failing an agreement, arbitrators shall apply those rules that they deem appropriate, considering that any reference to national laws (save any agreement otherwise) excludes conflict of laws rules. Therefore, both the parties and arbitrators are given a high degree of flexibility and freedom in this sense, under the SAA. Both CIMA and CAM utilise the assistance of lists of arbitrators and tariffs to fix the fees. CIMA rules foresee the possibility of challenging the validity of the award before the arbitral institution (based on limited grounds and provided that it is expressly agreed by the parties), and CAM rules provide a summary procedure. The SAA favours arbitrability. In fact, it provides that any matters that can be freely and legally disposed of by the parties can be submitted to arbitration (article 2). This is a clear demonstration in favour of arbitration, following the premises of the Model Law and taking non-arbitrability as an exception. In addition, the possibility to submit intracompany disputes to arbitration is expressly recognised in article 11-bis. Moreover, securities transactions are considered as arbitrable, and Spanish case law has recognised the arbitrability of subjective rights related to competition law (judgment of the Madrid Appeal Court, 25 September 2015). Notwithstanding, some matters remain non-arbitrable, such as family law issues, the civil status and capacity of individuals, criminal liability, insolvency procedure and, in general, matters related to public policy. Further, there is still a reluctance to admit the arbitrability of tax disputes, and the SAA excludes labour disputes from its scope (article 1). The SAA sets forth the requirements of arbitration agreements (without determining any particularities for public entities). According to article 9, an arbitration agreement shall be in writing, in a document signed by the parties or an exchange of letters, telegrams, telexes, faxes or other telecommunication methods (including electronic) that ensure a record of the agreement is kept. Additionally, where an arbitration agreement is accessible for subsequent reference on electronic, optical or other media, it will be regarded as compliant with this requisite. When construing these requirements, the Spanish Supreme Court has concluded that conclusive facts can evidence the consent to submit a dispute to arbitration even if the agreement is only signed by one party (judgment 24 November 1998), and that apart from formal requirements attention shall be paid to the willingness of the parties (judgment 9 May 2003). In this vein, for instance, as stated in article 9, tacit consent is accepted when there is an exchange of statements of claim and defence and the existence of the arbitration agreement is alleged by one party and not denied by the other. Last, pursuant to article 9.2, arbitration agreements can be contained in adhesion contracts. Their validity and interpretation will be governed by the rules applicable to such contracts. In particular, arbitration agreements signed by consumers, under certain circumstances, are not binding for them as it is set forth under the Consumer’s Act of 16 November 2007. Arbitration agreements are considered a separate and independent agreement from the underlying contract (article 22 SAA). Therefore, they are not affected by the fate of the latter. Additionally, according to the Spanish Insolvency Act, the mere declaration of insolvency does not affect the validity of arbitration agreements, unless the court considers that they could affect the course of insolvency proceedings, in which case it can stay their effects (article 52.1 of the Spanish Insolvency Act). Notwithstanding, if the parties expressly submit the dispute to a particular individual who subsequently dies or is declared unable to perform his or her duties, the validity of the arbitration agreement could be jeopardised (judgment of the Superior Court of Justice of Castilla y La Mancha, 25 September 2013). Under the SAA, signature is not essential to confirm the consent to submit a dispute to arbitration. Having said that, the SAA in article 11-bis allows the inclusion in an arbitration agreement of the articles of association for inter-company disputes if a qualified majority of two-thirds of the shareholders votes in favour. If so, those shareholders who have not voted in favour would nonetheless be bound by the arbitration agreement. with regard to mandate contracts, representation is recognised, and, therefore, an agent can bind the principal if he or she has enough power to do it (judgment of the Madrid Appeal Court, 16 January 2006). The SAA does not contain any special rule on joinder or notice to third parties. Thus, third-party participation will depend upon the arbitration rules chosen by the parties. application to the facts of a legal doctrine: among others, the estoppel or the piercing of the corporate veil. The SAA does not have any special provision on the validity of multiparty arbitration agreements. It merely provides an arbitrators appointment procedure in the case of several parties (see question 17). Any individual in full possession of his or her civil rights may be an arbitrator, provided that he or she is not barred from it by his or her professional rules. Unless otherwise agreed by the parties, nationality shall not be an impediment to act as an arbitrator (article 13 SAA), and neither shall religion or gender. Nonetheless, for arbitrations in which only one arbitrator is appointed, the arbitrator shall be a jurist (unless the parties have agreed otherwise or in ex aequo et bono arbitrations). Equally, when arbitration is to be conducted by three or more arbitrators, at least one of them shall be a jurist. For instance, lawyers, public notaries, scholars or ex judges can be appointed as arbitrators (the SAA does not require a minimum experience). Conversely, active judges, magistrates and public prosecutors cannot be appointed as arbitrators, nor the person who has been previously appointed as the mediator in the dispute, save agreement on the contrary by the parties (article 17.4 SAA). Further, if it is an institutional arbitration, the organisation shall be capable of conducting the arbitrations (judgment of the Superior Court of Justice of Galicia, 24 July 2014), and an internal body of one of the parties is ineligible (ruling of the Barcelona Appeal Court, 28 September 2012). In general terms, in most of the cases, practising lawyers tend to sit as arbitrators. Having said that, there is a tendency to provide more diversity. In particular, gender diversity. This is actually supported by institutions and also by private practitioners. At an institutional level, for instance, the Club Español del Arbitraje (the CEA) established in 2017 a special section particularly dedicated to women: CEA Mujeres. The default rule is to appoint only one arbitrator. when arbitration is to be conducted by more than three arbitrators, all of them shall be appointed by the competent court upon request of the interested party. In those cases where appointment shall be carried out by national courts, they will provide a list of three candidates for each arbitrator (taking into consideration any requirements agreed by the parties and trying to assure independence and impartiality). Appointment will take place by drawing lots, and it is not possible to challenge the final decision. Last, similar appointment rules apply for both CIMA and CAM, although reference to the court should be substituted to the arbitral institution. Arbitrators shall be, and maintain themselves as, impartial and independent throughout the whole procedure, being barred from having personal, professional or commercial relationships with the parties. In fact, arbitrators are under the obligation to disclose any circumstances that may affect their impartiality or independence (article 17 SAA). In this sense, there is a tendency to apply or seek guidance from the IBA Guidelines on Conflicts of Interest in International Arbitration (judgment of the Superior Court of Justice of Madrid, 4 November 2016), as well as the recommendations published by the CEA (judgment of the Superior Court of Justice of Madrid, 4 May 2017). 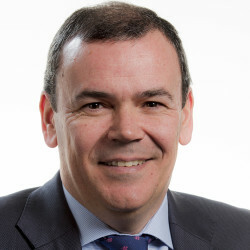 Notwithstanding, being independent and impartial should not be compared with not incurring in any of the abstention or recusal causes provided for the judges and magistrates foreseen in the Spanish Organic Law of the Judicial Power (judgment of the Superior Court of Asturias, 25 April 2017). An arbitrator may only be challenged if there are grounded doubts concerning partiality or independence or if he or she does not hold the qualifications agreed by the parties. Challenge proceedings can be agreed by the parties. Failing such agreement, arbitrators will hear the challenge, which shall be filed within 15 days of the interested party being aware of the acceptance by the arbitrator or of the circumstances that would ground the challenge. If the challenge is not upheld, the decision cannot be appealed, although the interested party could reiterate the arguments within the eventual challenge proceedings of the award. Last, in case the arbitrator is legally or de facto impeded because of any circumstance (eg, illness or declaration of disability) in properly conducting the arbitration, he or she shall cease performance of arbitrator duties, unless there is a disagreement as to whether the arbitrator is impeded. In these cases, the competent authority to hear the challenge, failing any agreement, would be the court (in cases of a sole arbitrator) or the arbitrators not affected (in the case of arbitral tribunals). Once arbitrators accept the appointment, they shall faithfully fulfil the mandate given by the parties, with independency and impartiality. This relationship is equivalent to a mandate contract. In institutional arbitral proceedings, remuneration is based on tariffs and it is paid (as well as the expenses) by both parties equally, save any agreement otherwise or an eventual condemnation in costs. Although the SAA does not govern communications between arbitrators and parties, it also imposes the obligation to communicate to the counterparty any writs and documents filed for the arbitrators (article 30). Additionally, unilateral communications would be prohibited based on the obligation of the arbitrators to be impartial and independent (article 17) and to treat the parties equally (article 24.1), which is in line with the CEA published recommendations on the independence and impartiality of arbitrators. The above is regardless of whether an arbitrator has been appointed by a party, court or arbitral institution. Arbitrators are not immune from liability (nor are arbitral institutions). In fact, according to article 21 of the SAA, arbitrators may incur in liability in case of bad faith, gross recklessness or wilful default. Thus, arbitrators will only incur in liability in those cases where damage is intentionally caused or when they have acted with gross negligence or recklessness (judgments of the Supreme Court of 22 June 2009 and 15 February 2017). Liability can be either civil or criminal. Although with some caveats, Spanish case law has recognised that the procedure to be followed is similar to the one foreseen for judges and magistrates (judgment of the Seville Appeal Court, 30 April 2010). When a valid arbitration has been entered into, parties are barred from filing a claim at national courts (positive effect) and national courts are prevented from hearing them (negative effect). However, negative effect is not automatic (further, no anti-suit injunctions are foreseen). Accordingly, a party shall challenge the jurisdiction of national courts within 10 days of those provided to file the answer to the claim (staying the legal period to file the said answer), against which an opposition could be filed within five days of its notification. An appeal could be filed in case the court denies its jurisdiction. Otherwise, it would only be possible to file a challenge before the same court. Challenge over jurisdiction does not impede commencement or continuation of arbitral proceedings. If no challenge to jurisdiction is filed, it would be considered as a tacit waive to arbitration (article 11 SAA). Lastly, it shall be stressed that recently the Supreme Court has embraced the soft application of the competence-competence principle, confirming that national courts are fully empowered to carry out a full review of the case whenever jurisdiction is challenged (judgment 27 June 2017). Article 22 of the SAA confirms the application of the competence-competence principle (as expressly admitted in its recitals, and despite the recent Supreme Court judgment referred to in question 21). Hence, arbitrators are also competent to rule on jurisdiction (either through a partial or final award), even in those situations where the validity or existence of the arbitration agreement itself is challenged. These claims shall be made when filing the statement of defence at the latest. The fact of having participated in the appointment of the arbitrator does not bar from filing it. The claim grounded on the fact that the dispute falls out the jurisdiction of the arbitrator shall be made as soon as practicable during arbitral proceedings. In particular, CIMA rules stipulate that the objection to the jurisdiction of the arbitral tribunal shall be raised no later than at the time of filing the response to the request for arbitration. And, where the objection relates to any matter arising from the filing of the counterclaim, at the time of response to the notice of counterclaim. Pursuant to articles 26 and 28 of the SAA, when no agreement exists, arbitrators shall determine the place and language of arbitration, taking into consideration all the circumstances of the case. Further, when from the said circumstances a particular language cannot be agreed upon, arbitration will be conducted in any of the official languages of the place of the proceedings. Unless otherwise agreed, arbitration commences on the date upon which the notice of arbitration is served on the respondent (article 27 SAA). the applicant shall submit copies for the institution, each party involved and the arbitrators. Parties are free to decide on the particularities of arbitral proceedings (article 25 SAA). Failing such agreement, arbitrators may decide as they deem appropriate. Additionally, failing any agreement otherwise, arbitrators shall decide on whether hearings take place (to make any pleas, take evidence or make conclusions). In practice, conclusions are in writing and, although it is not common, it is possible to not schedule any hearings (unless the parties refuse, arbitrators generally fix hearings). Any evidence legally taken or obtained is admitted, upon which the facts of the controversy will be established. The SAA is based on the premise that parties can agree on the particular procedure. In practice, guidance is sought (particularly in international arbitration) from the IBA Rules on the Taking of Evidence. Failing any agreement, parties should file all available documents along with their corresponding statements. Party-appointed experts are more common than tribunal-appointed ones. The SAA states that, save in those cases where it is expressly foreseen, national courts shall not intervene (article 7). Intervention is foreseen for the appointment or challenge of arbitrators (articles 15.3 and 19.1.a), the taking of evidence (article 33), application for interim measures (article 11.3), challenge of the validity of the award (article 40 et seq) or its enforcement (article 45). According to article 24 of the SAA, arbitrators, the parties and the arbitral institutions shall keep confidential any information received on occasion of the arbitration. Confidentiality is considered as a cornerstone of arbitration. Both national courts and arbitrators are competent to order interim measures (articles 11 and 23 SAA). According to article 11.3, interim measures can be requested to national courts by any party either before the commencement or during arbitration proceedings. This dual system is considered by the recitals of the SAA as alternative. Therefore, parties are free to choose to address its application to either arbitrators or courts. The SAA does not govern emergency arbitrators. Conversely, both the CIMA and CAM rules expressly foresee particular proceedings. Following question 29, an arbitral tribunal may order any of the interim measures listed in the SCPC after it is constituted. Among them are interim freezing orders, appointment of a receiver, an order to cease a certain activity or to refrain from a particular behaviour, etc. As expressly stated in the SAA, arbitrators may (ie, it is a matter of discretion) request the applicant to provide security. Notwithstanding, if the affected party decides not to comply with the interim measure ordered by the arbitrators, the latter will have to seek judicial assistance. Finally, it is not common for arbitrators in domestic arbitration proceedings to order security for costs - being only applied in practice in international investment arbitration proceedings. The only sanction that can be imposed is the condemnation in costs. In any event, the behaviour shown by the counsel can also raise other liabilities (see question 51). Pursuant to article 35 of the SAA, it is sufficient if the decision is adopted by the majority, unless the parties have agreed otherwise. If it is not possible, the chair will decide. The arbitrator who does not agree with the majority can freely dissent. Although they would not affect the validity or effectiveness of the award, dissenting opinions are used in subsequent challenge of awards proceedings. If any arbitrator does not agree with the sense of the award, he or she may explain the reasons (article 37.3 SAA). Although no guidelines are provided as to how to express them, dissenting opinions are generally used when arbitrators disagree with the opinion reached. Dissenting opinions will not benefit from the legal effects of the award, the effectiveness of which will not be affected. Pursuant to article 37 of the SAA, awards shall be rendered in writing (electronic means are accepted), dated, expressing the venue of the arbitration and signed by the arbitrators, who may express their favouring or dissenting opinion. For arbitral tribunals, it is enough if it is signed by the majority or even just the chair, provided that reasons are given justifying the lack of the absent signatures. The above does not justify in any event the exclusion of a dissenting arbitrator from the decision-making process, since otherwise liability could be imposed (judgment of the Supreme Court, 15 February 2017). Further, the award shall always be reasoned, unless it is an award by consent. According to article 37 of the SAA, arbitrators have six months from the date when the statement of defence is or should have been filed. This period, however, and unless the parties have agreed otherwise, could be extended by the arbitrators for no more than two months by means of a reasoned decision. The rules on arbitration of both the CIMA and CAM echo the SAA. The award is effective and binding on the parties from the date it is served. Under the SAA, final and partial awards are possible, as well as consent awards (article 36). Further, the award can condemn a party, declare any rights or create, modify or extinguish rights. arbitrators verify that proceedings have become unnecessary or impossible (article 38.2 SAA). The mere default does not imply termination of the proceedings, unless it is the claimant who does not file the statement of claim in time, without explaining such behaviour. In this case (failing an agreement otherwise), proceedings will be considered as terminated, save if the defendant shows an interest in making any plea (article 31 SAA). As stated in article 37.6 of the SAA, arbitrators shall decide on the allocation of the costs. However (conversely to domestic litigation), there is no imperative imposition of criteria to be followed. Therefore, failing an agreement, it is left to the discretion of the arbitrator. any other cost originating from the proceedings (thus, including experts). Interest is allowed under Spanish law. As to the principal amount, it will include the interest agreed by the parties or, failing such agreement, the legal interest rate published in the Official Gazette (the interest rate foreseen in the Spanish Act 3/2004, 29 December, combating late payment in commercial transactions, also applies to certain commercial transactions). Once the award is rendered and until it is fully complied with, the interest resulting from adding two points to the legal interest rate will be included, unless the parties have agreed otherwise or any law provides a different interest rate. Costs do not have interest. However, if a party is obliged to trigger enforcement proceedings, the SCPC foresees an increase of 30 per cent of the amount for which enforcement is sought by way of interest and costs of the enforcement proceedings. rectify partial exceedances, when it has decided on non-arbitrable differences or on those that were not submitted to arbitration. Arbitrators on their own can only proceed to correct calculation, copies, typographical or similar mistakes, within the time limit of 10 days from the date when the award was signed. Notwithstanding, the above-mentioned time limits are extended to one month for international arbitrations. The application to set aside shall be brought - before the Superior Court of Justice of the autonomous community in which the award is rendered (article 8.5 SAA) - within two months of the notification of the final award (ie, once, if so, the corresponding clarification, correction or supplement has been served on, or the time to do it has elapsed). Having said that, the SAA also provides particular review proceedings for awards with res judicata effects (article 43). These proceedings are for very limited scenarios (eg, the award was based on evidence that thereupon was considered false by a criminal judge), and the procedure is governed by the SCPC (article 509 et seq). Aside from the possibility to set aside the award based on very limited grounds, the SAA does not provide for any further appeal or challenge. Conversely, for example, CIMA rules foresee the possibility of an agreed intra-arbitral challenge when there is a manifest disregard of the substantive law on which the decision is based; or when the award is based on a clearly erroneous assessment of the facts, which have been of decisive importance. These proceedings are usually promptly decided, and the costs, which are generally imposed to the losing party (unless otherwise agreed), would depend on the disputed amount. In relation to enforcement of domestic awards, the SAA (article 44) refers to the SCPC, save certain provisions regarding the stay, dismissal and restart of the proceedings. The SCPC considers the award as an enforceable title (ie, it can be directly enforced), governs the procedure and provides very limited grounds for opposition to the enforcement. Article 46 of the SAA provides that recognition and enforcement of foreign awards shall be governed by the New York Convention, save any other more favourable international convention. Thus, the grounds for refusal are the same as those foreseen in the said international convention. The enforcement procedure will be the same as for domestic awards though (ie, under the SCPC). The limitation period is five years as from the date the award is served (or if corrected or clarified as referenced under question 42, as from this latter date), pursuant to the SCPC (article 518). Spanish courts have a favourable attitude towards recognition and enforcement of foreign awards. However, enforcement of an annulled award is disputed. In fact, there are reputable Spanish scholars who have rejected this possibility. Moreover, case law has not thoroughly addressed this particular issue, and, therefore, the outcome is uncertain. Notwithstanding, for instance, the ruling of the first instance court of Rubí, dated 11 June 2007, which expressly recognised (referring to French cases Hilmarton and Chromalloy) the possibility of enforcing an award set aside by the courts at the place of the arbitration. Nonetheless, this possibility was envisaged assuming that, aside from the New York Convention, the European Convention on International Commercial Arbitration also applied (which is more lenient concerning enforcement of set aside awards). Additionally, it is specifically stated that, unlike the New York Convention, the annulment of an award in the state of origin does not imply as a ‘necessary consequence’ the impossibility of being recognised or enforced in another state. Emergency arbitration is not governed under the SAA. However, most arbitral institution rules govern it and, although no publicity has been given to any decisions enforcing orders rendered by emergency arbitrators, its enforceability is widely accepted. Costs for the applicant directly depend upon the economic value of the award, and include the solicitors, court agents and court fees. For the other party, the SCPC also foresees an increase of 30 per cent of the amount enforced. Under Spanish law neither disclosure nor discovery is recognised. Conversely, parties shall provide all available documents along with their corresponding statements. However, this is not as stringent as it may seem. The SCPC allows a party to trigger preliminary proceedings aimed at obtaining essential documents for the controversy from the counterparty or any third party, and the production of specific documents related to the subject matter of the dispute, or the evidence to be taken can also be requested during the proceedings. Further, written witness statements are not usual, and party officers in most cases can only testify within the proceedings if their testimony has been requested by the counterparty (although some arbitral rules provide otherwise). Notwithstanding, there is a tendency (particularly in international arbitration) to apply, or seek guidance from, the IBA Rules on the Taking of Evidence. Last, conversely to Anglo-Saxon judicial systems, law is exclusively enacted through writing legal codes and laws. Therefore, in Spain case law is not recognised as serving the same function. The SAA does not provide any guidance as to professional or ethical behaviour, beyond the obligation for arbitrators to be and stay impartial and independent. Nonetheless, there are certain ethical rules for those who are qualified in Spain (such as the Spanish and European code of conduct for lawyers or the Spanish Statute of the Practice of Law), and reference is also made to the IBA and CEA recommendations in this regard, which are aligned. The SAA does not govern third-party funding. Although, in practice, this type of funding is becoming more used in practice (especially in international arbitration). There are no noteworthy particularities aside from those developed in the questions above. Currently, there is a pending dispute between case law and scholars about the scope of the revision of the award to be carried out by the Superior Court of Justice when deciding if an award shall be set aside. This is because the Superior Court of Justice is increasingly inclined to analyse questions of substance of the award, on the grounds of one of the formal reasons of article 41 of the SAA to set aside an award, which is generally public policy. In fact, the Superior Court of Justice of Madrid, in its ruling of 31 October 2017, expressly recognises its own right to examine the substance of the matter (in that case, whether the arbitrator applied the existing case law about the expiration of the action). As stipulated in the dissenting opinion of an important magistrate of the Constitutional Court, in its ruling of 11 January 2018, arbitration is not a ‘jurisdictional equivalent’ (as the Superior Court of Justice sets out) but an alternative dispute resolution based on the will of the parties. Thus, the essential characteristics of arbitration are neutrality, the prevalence of private autonomy, and a limited and regulated judicial intervention, which must be reduced to guaranteeing the peaceful resolution of conflicts that arbitration itself cannot resolve (which clearly does not include a review of the merits of the awards). On 10 November 2017, the European Commission (EC) issued a decision (the EC Decision) confirming that any compensation granted by an arbitral tribunal to an investor in relation to Spain’s modification of its renewable energy scheme would constitute member state aid, and that arbitral tribunals are not competent to authorise the grant of such aid as this is within the exclusive competence of the EC. If tribunals award compensation, that compensation would be EU member state aid notifiable to the EC pursuant to article 108(3) of the Treaty on the Functioning of the European Union (TFEU) and, therefore, subject to the standstill obligation provided therein. Recently, on 27 June 2017, the Spanish Supreme Court rendered a judgment embracing the soft application of the negative effect of the competence-competence principle. This is after a joint assessment of the New York Convention, the Model Law, the parliamentary procedure of the SAA and the Regulation (EU) No. 1215/2012 of the European Parliament and of the Council of 12 December 2012 on jurisdiction and the recognition and enforcement of judgments in civil and commercial matters. All in all, the Supreme Court concluded that if a party challenges the jurisdiction of the arbitrator or arbitral panel to hear a case, the national court may fully assess the validity, effectiveness and application of the arbitration agreement, without any limitation or restriction. 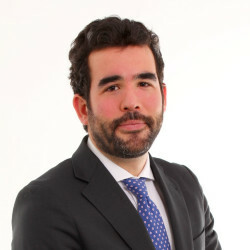 Moreover, regarding Spain, it is involved as a defendant in more than 30 arbitration cases for alleged breaches of the Energy Charter Treaty, as reported by the website of the said multilateral treaty. The latest judgment of the CJEU on the issue was delivered in March 2018. The CJEU ruled in Achmea that the arbitration clause in the BIT between the Netherlands, the Czech Republic and Slovakia was incompatible with EU law and, in particular, contrary to article 344 of the TFEU. However, the Achmea decision related to an intra-EU bilateral investment treaty. The CJEU did not make any findings on the compatibility of arbitration clauses in multilateral agreements where the European Union itself is a member, as with the Energy Charter Treaty (ECT). The impact of the EC Decision and the Achmea judgment on multilateral investment treaties, including the ECT, therefore remains uncertain. For the time being, it appears that arbitral tribunals are not applying either the EC Decision or the Achmea judgment, and do not accept that EU law is of application to arbitration disputes where it is not strictly necessary to apply EU law to resolve the dispute. There are over 30 arbitration cases that Spain must face under the ECT in relation to renewable energies. According to the World Investment Report 2018 of the United Nations, Spain is one of the three most sued countries in investment arbitration. King & Wood Mallesons (KWM) is a new breed of law firm combining local depth with a global platform. Offering a different perspective to commercial thinking and the client experience, 2,700 lawyers across more than 30 international offices are working with clients every day to understand local challenges and navigate through regional complexity.